Every person will experience grief and loss – a profound sense of final separation from something or someone important. Grief is a normal and appropriate reaction to the death of a loved one, the experience of separation/divorce, intergenerational loss, or the loss of opportunity. While there are similarities in how individuals work through loss, grief is a complicated and unique experience that requires helpers to be sensitive to the needs and experiences of those they are supporting. 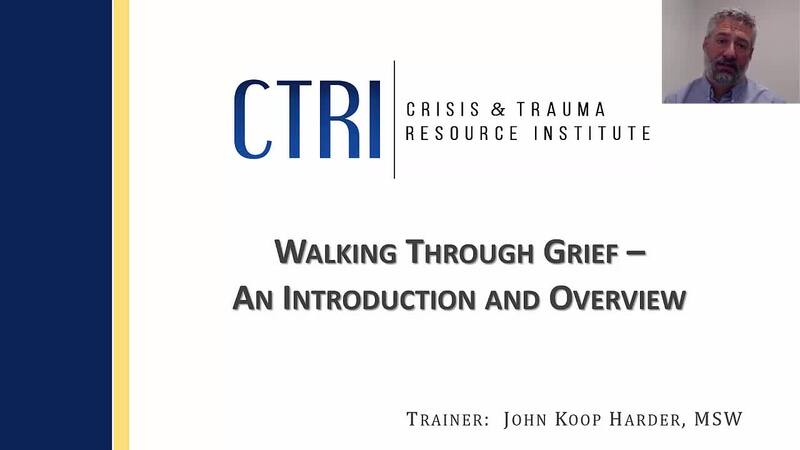 This webinar gives an overview of what grief is and the multileveled issues that may influence this experience.